They had an amazing selection of Rowan yarns and patterns to choose from, and since my Nanna and Auntie Anne were big Rowan fans, I knew that I could trust them. 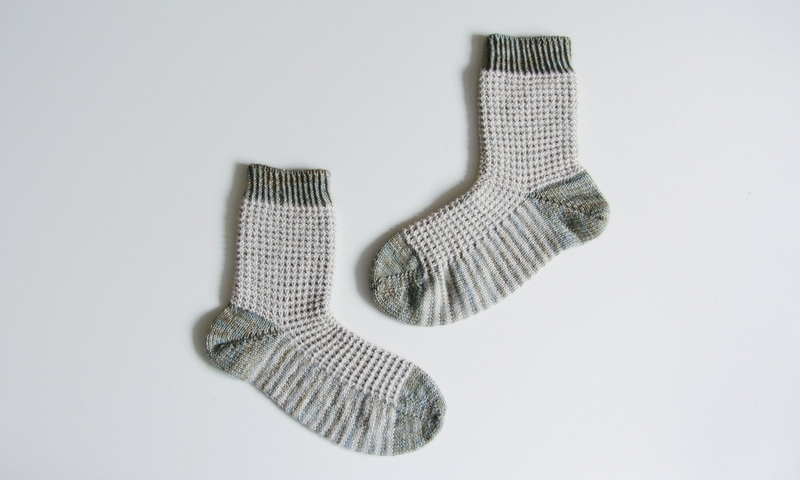 Now, if you’ve ever knitted from a Rowan pattern, you will know that they tend to knit flat. Even the most complicated colourwork sweaters are knitted flat - strange, I know! And so, I knitted garments flat for over ten years. Seamed or Seamless Sweaters: Which is better? Having knitted (and designed) a few sweaters in the round now, I can certainly see the appeal. Seamless garments are a lot quicker to make since the required finishing work is minimal. They also allow you to try on the garment as you go - a real plus when you’ve invested so much time in knitting a garment that you want to fit correctly. 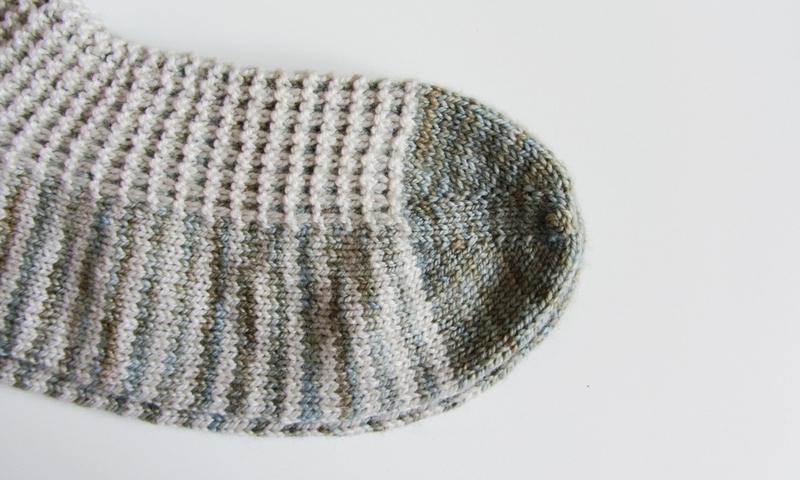 Knitting in the round tends to ensure a consistent gauge, which is not always true when knitting flat. It can also be more fun for some knitters. I love seaming, but I know that many people really dread that part of the process. Unfortunately, the truth is that seamless garments don’t hold their shape as well as seamed ones. Knit fabric, by its nature, wants to stretch. A seamed garment doesn't go out of shape since the seams offer the fabric structure and support. This means that your seamed garments will be more hardwearing and will stay in good shape much longer than something seamless. Seams are even more important when working with fibres that have a tendency to grow, such as superwash wool, alpaca or cotton. And when it comes to working with fibres that tend to twist and bias, such as bamboo or linen, they really are non-negotiable. That’s why I designed my Fragment t-shirt with seams. 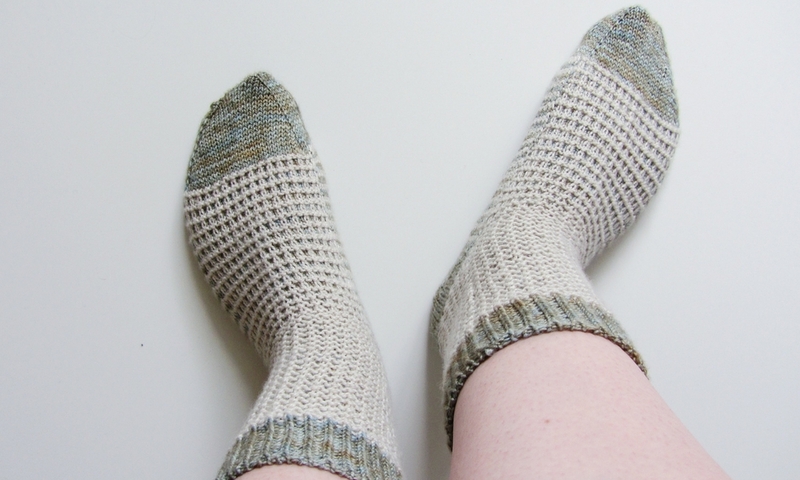 When I first discovered the basting stitch through Karen Templer’s blog, it was a complete revelation. I had never seen someone use a technique like this before: it was so simple, yet it solved the problem entirely! A basting stitch is essentially a column of purl stitches that are added to a seamless garment wherever you would usually have seams. This includes raglans, side seams and sleeve seams. 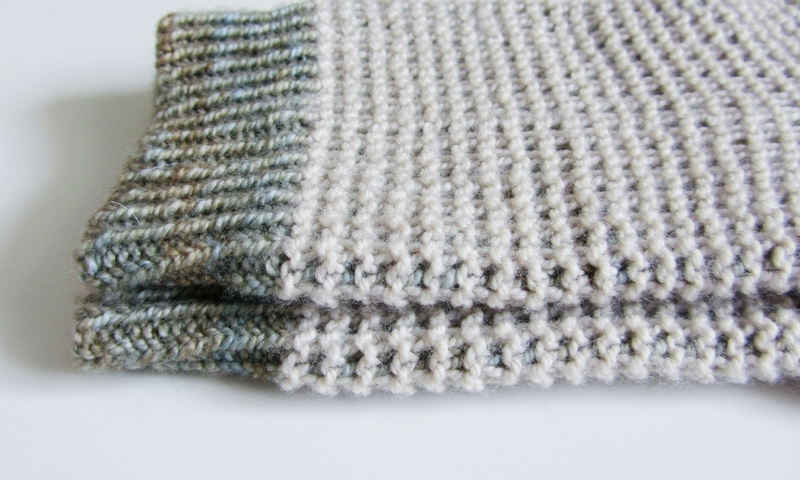 Once you have finished knitting the garment, you just use mattress stitch to seam up the basting stitches. This technique combines the ease of seamless garments with the strength and stability of seamed garments. It really is the best of both worlds - thank-you Karen for sharing this clever idea with us! I am sharing this technique with you now because next Tuesday, I am releasing my Shorthand sweater pattern, which is a gorgeous raglan sweater, knitted seamlessly in the round. When knitting the sweater, increase by one stitch everywhere that you would usually have a seam. In the case of the Shorthand sweater, I increased one stitch on the four raglan seams, the two sleeve seams and the two side seams. The basting stitch will always be purled. To make it easier to remember to purl, I put a stitch marker on either side of it. When you have finished knitting the sweater, block it to size. Then, thread a tapestry needle with yarn that is approximately double the length of the seam you will be basting. Anchor your yarn at the bottom of the seam by going in and out of that stitch a couple of times in a figure of eight, leaving a six-inch tail to sew in at the end. You will now be working in mattress stitch. Insert your needle under the two threads to the left of the first basting stitch and loosely pull your yarn through to the front without tugging on it. Insert your needle under the two threads to the right of the first basting stitch and loosely pull it through again. Now, insert your needle back into the hole it came out of to the left of the basting stitch, picking up two threads again and loosely pull it through. Repeat this on the right side of the basting stitch. Continue working in this way until you have worked approximately two inches of mattress stitch. 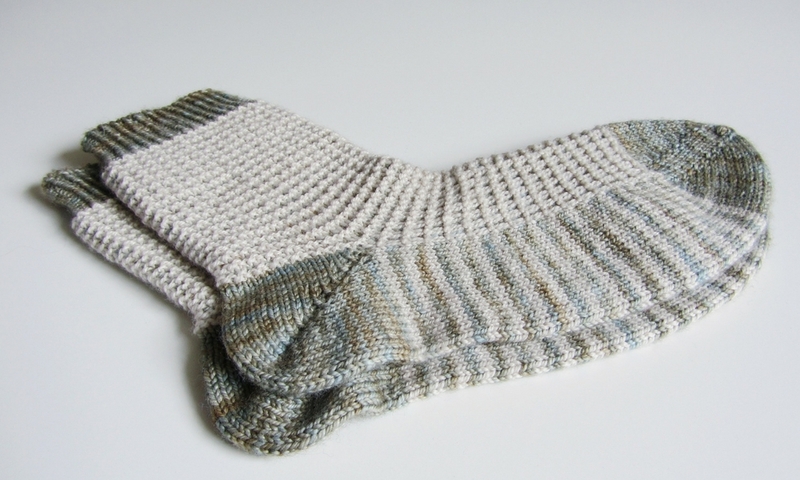 Gently pull on the base of the yarn to close up the seam, being careful not to gather the seam. If you think you've pulled too tight, gently tug on both ends of the seam to make sure it isn’t gathered. Repeat steps 8-10 to the end of the seam. Weave in the ends and repeat on the rest of the seams. I hope that you guys give it a try in the next seamless sweater you knit - maybe even my Shorthand sweater? It really is a clever technique, and whilst it adds an extra step to your garment making process, isn't it worthwhile? It will really help your sweaters to look better for longer.